Do financial incentives improve weight loss? With being overweight or obese one of the leading risk factors for illness and death in Australia, a new report by Australia's national science agency has shown that self-monitoring and personal accountability could be key to losing weight. 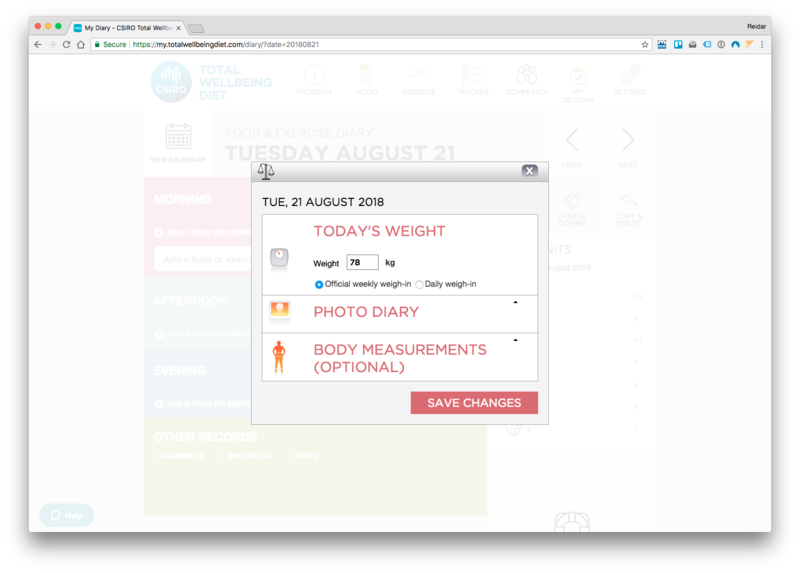 CSIRO's Total Wellbeing Diet online, first launched in 2015, offers a full refund for people who complete the 12-week program by making behavioural changes scientifically shown to support weight loss in the long term. After analysing 13,000 program members, CSIRO researchers found that people who successfully followed key recommended behavioural changes and claimed the refund lost more weight than people who did not. "There is growing research to support the fact that taking personal accountability through self-monitoring promotes healthy weight loss," CSIRO Research Scientist and report co-author Dr Gilly Hendrie said. "This is why we set up the Total wellbeing Diet refund program to incorporate these behaviours. 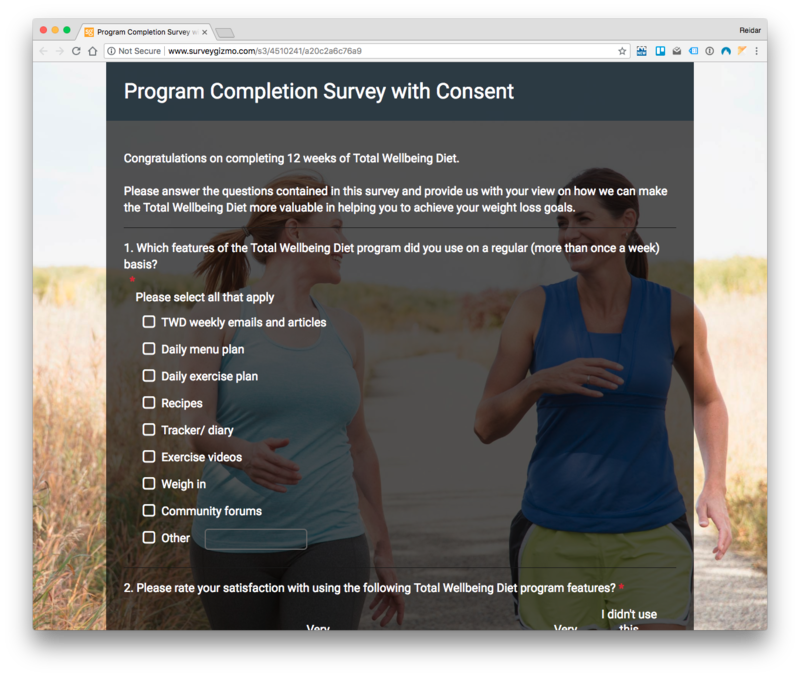 "After analysis we found that people who regularly tracked their progress and claimed the program's refund incentive lost 54 per cent more weight than those who completed the program without claiming it. "This confirms that self-monitoring and personal accountability, partnered with a financial incentive, can be a powerful motivator when setting out to lose weight." Dr Hendrie said the financial incentive was a key motivator for many people to sign up to the program and to persevere. Three out of four members who received the refund (74 per cent) felt this offer motivated them to sign up to the program, while two in three (65.4 per cent) felt strongly that the refund kept them motivated during the program. The criteria to claim the refund were designed to promote behaviours associated with more successful weight loss, including the self-monitoring strategies of weekly weigh-ins and photographs to record progress. "As anyone who's tried to start a healthy habit would know, we can be our own biggest enemies," Dr Hendrie said. "Making the behavioural changes necessary to lose weight can take time, and it can be difficult to stay motivated, especially if you have a busy lifestyle – but by making proven behavioural changes you can build the habits necessary to change." The report showed that, of the people who completed the 12-week program, those who got their money back when they finished lost an average of 6.2 per cent of their initial body weight compared to a four per cent loss for people who did not claim a refund. "That difference might not sound like a lot, but that was an average of 5.6kg – and anyone who’s tried to lower their weight before knows every kilogram lost is a success," Dr Hendrie said. "We know that losing more than five per cent of your body weight is considered clinically relevant, significantly reducing an obese person's risk of type 2 diabetes, heart disease and stroke, so losing 6.2 per cent could really improve a person's health. "Our report showed some people found a financial driver motivated them overcome the internal hurdles that otherwise hold them back. "From speaking with people who have finished the program, we also know that hearing and seeing the success of others can also be a kick-starting motivator." A survey of about 1250 people who completed the program found that people who received a refund were also 62.5 per cent more likely to report achieving their overall weight loss goals. More information about the CSIRO Total Wellbeing Diet program and refund can be found at Total Wellbeing Diet .